AltaLink operates more than 13,000 kilometres of transmission lines and 300 substations, bringing electricity to homes and businesses throughout Alberta. As with other energy and development projects, operating and maintaining a transmission system has the potential to affect wildlife, particularly avian (bird) species. Birds are primarily affected by the transmission system through collisions, electrocutions and nesting. At AltaLink, we recognize the concerns about interactions between birds and the transmission system. 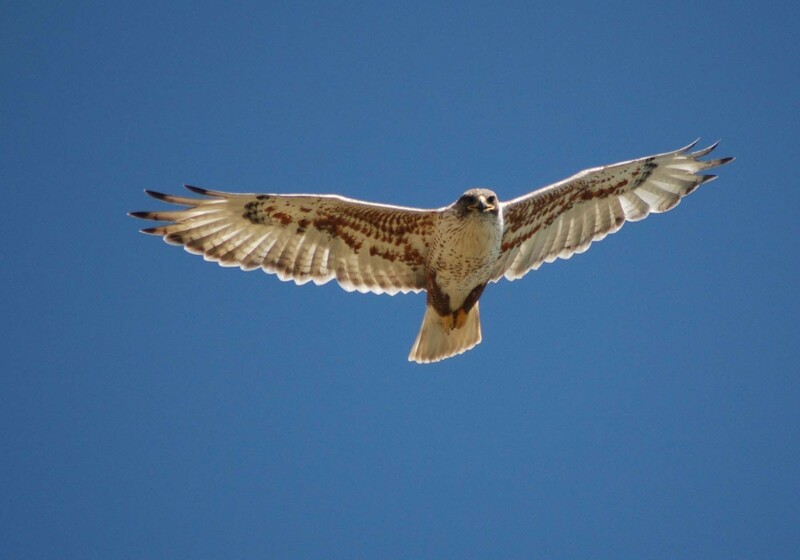 AltaLink stays up to date on current research as it relates to birds and power lines, assesses potential bird interactions on our existing and planned facilities, and utilizes mitigation approaches to minimize potential affects on birds. AltaLink strives to be a leader in bird protection and is committed to improving performance in this area. We employ biologists to conduct field studies to determine potentially sensitive areas for birds and wildlife. Many of our facilities were built prior to the electricity utility industry having an understanding of these affects, and we are working to upgrade areas of our system to minimize affects to birds and other wildlife. AltaLink has created an Avian Protection Plan (APP), a management system designed to reduce the impact our transmission facilities can have on birds. AltaLink was the first Canadian utility to develop an APP. What do I do if I find a bird that was injured or killed by an AltaLink facility? If the bird is injured, contact AltaLink and the closest wildlife rehabilitation centre to your area. If after hours, injured wildlife can be taken to any 24-hour veterinary clinic. What type of legislation protects birds in Alberta? Birds in Alberta are protected under both provincial and federal legislation: the Alberta Wildlife Act, Migratory Birds Convention Act, and the Species at Risk Act. How does AltaLink identify and understand its impact on birds? AltaLink is an active member of the Avian Power Line Interaction Committee (APLIC). APLIC is a North American committee whose members consist of the electric utility industry, wildlife resource agencies, conservation groups, and manufacturers of avian protection products. These members work together to understand the causes of bird and power line facility affects and to develop ways of preventing bird mortalities and associated power outages. As an active member, AltaLink gains exposure to experiences and lessons learned from others so we can apply to our transmission facilities as well as stay current on avian protection products and any associated research on those products. In addition to APLIC membership, AltaLink performs bird surveys and works with external parties to identify and assess the risk to birds on our existing transmission system and new projects.